A junior at UMass Lowell, Benjamin St. Pierre grew up in Peabody but has made Lowell his second home. He spends his free time diving into the city's cultural scene — eating up all the local history, art, music and food (including the chicken Caesar salad wraps at UML's Crossroads Cafe) that he can get his hands on. 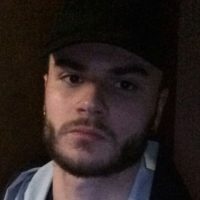 Ben has been a staff writer for UML’s student newspaper, The Connector, since freshman year, reporting mostly on arts and entertainment. Besides reading and writing, his interests include music, politics, conservation and the environment, popular culture, education and sports.